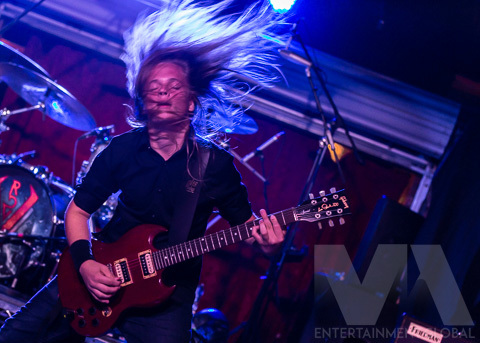 Johnny Zostant is a 15 year old guitarist, singer & songwriter with talent and experience beyond his years. Playing more than fifty shows a year and touring the U.S. from coast to coast, Johnny has already established himself as a solid support act for many well known national touring bands such as Gus G (Ozzy Osbourne), Vinny Moore (UFO), Michael Angelo Batio, Saliva, TRAPT, Faster Pussycat, Wayland, Don Jamieson (VH-1’s That Metal Show) & many more. Johnny recently opened the 2018 Hall of Heavy Metal History Induction Ceremony with an electrifying live performance after being introduced by famed rock historian and personality Eddie Trunk. He will be a featured performer and demonstrator at GHS Strings booth at 2019 Winter NAMM Show in Anaheim, CA. Writing, recording & producing his own original style of hard hitting rock-n-metal, Johnny is continuously releasing new music and touring the U.S. with plans to play Europe in the works.